Jharkhand Polytechnic 2019 Application has been Released on 28th March 2019. Jharkhand Polytechnic 2019 is a state level polytechnic entrance exam which is managed by the Jharkhand Combined Entrance Competitive Examination Board. Through Jharkhand Polytechnic 2019 entrance exam candidates can get admission in various engineering and non-engineering diploma courses. Jharkhand Polytechnic 2019 is also known as Polytechnic Entrance Competitive Examination (PECE). The state government and non-government polytechnic institutions of Jharkhand accept the score of Jharkhand Polytechnic 2019 for admission. Jharkhand Polytechnic 2019 Important Date has been Announced. Candidates can get here details of Jharkhand Polytechnic 2019 entrance exam Application Form, Eligibility Criteria, Exam Pattern, Exam Dates, Admit Cards and Syllabus Etc. Jharkhand Polytechnic (PECE) 2019 Application Form has been Released on 28th March 2019. Click Here to Check Application Details. Jharkhand Polytechnic (PECE) 2019 Important Dates has been Announced. Click Here to Check Important date Details. Jharkhand Polytechnic (PECE) 2019 Notification has been Released on 19th March 2019. Click Here to Check Notice. Candidates should know the Important dates of Jharkhand Polytechnic 2019 Exam Dates. 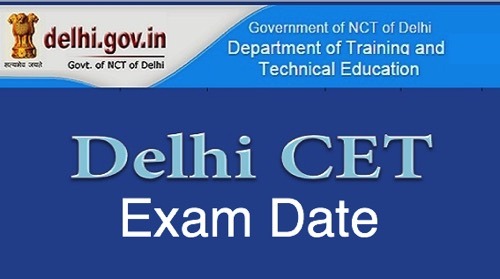 Below in table events are given such as Starting of filing an application form, Last date to submit an application form, and Releasing of admit card, etc. check all updates related to Jharkhand Polytechnic (PECE) 2019 entrance exam. The complete exam schedule for Jharkhand Polytechnic 2019 is given here. Jharkhand Polytechnic 2019 Application Form has been Released 28th March 2019 and the Last date to submit application form will be 28th April 2019. Candidates have to fill and submit an application before the due date mentioned in official. Candidates those wish to apply for this exam must go through the guidelines given below. Candidates those who are interested can fill the online application form for Jharkhand Polytechnic entrance exam. Jharkhand Polytechnic application form 2019 has been available from the 28th March 2019. From the 29th April 2019 application will be not accepted. Candidates after filling application they have to upload the scanned images of 10th mark sheet, photograph, and signature. Candidates those who submitted the application after the due date mentioned that the candidate’s application would not be accepted. Candidates must keep filled application/registration slip printed copies for further reference. Candidates have to pay application fees according to the category wise. Fees payment can be done through online mode. The candidates of the general and OBC-II category have to pay the 650/-as an application fee. The application fee for SC/ST/Female candidates will be 325/-. To apply candidates firstly, they should know full eligibility criteria. 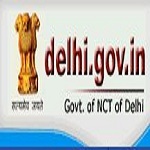 Candidates have to check whether they are eligible to apply or not. Jharkhand Polytechnic 2019 entrance exam eligibility criteria are provided below which contains Nationality, Age and qualification criteria etc. Candidates can check the eligibility criteria to appear in Jharkhand Polytechnic 2019 entrance exam. Domicile: Candidates have a valid domicile of Jharkhand state. ID: Aadhaar Card is compulsory to apply for this exam. Age Limit: The minimum age limit should be 17 years as on 1st July 2018 only for mining engineering. There is no age limit for other courses. Qualifying Exam: Pass 10th/equivalent examination from a recognized board. Minimum Marks: Obtain a minimum of 35% marks in the qualifying examination. Appearing Candidates: Candidates those studying in the last year of qualifying exam can also apply. Candidates have to prepare for Jharkhand Polytechnic 2019 entrance exam from the syllabus. All candidates should know the exam pattern and syllabus of Jharkhand Polytechnic 2019. Jharkhand Polytechnic 2019 entrance exam paper will be available in English and Hindi language. Candidates can check the Jharkhand Polytechnic 2019 Exam Pattern to apply for 2019 exam. Duration of Exam:150 minutes will be provided to attempt the complete exam. The language of Exam: The exam will be bilingual (English and Hindi). Type of Questions: The questions will be multiple choice questions. Marking Scheme:1 mark will be allotted for each correct answer. Candidates must prepare a time table. Give equal time to each subject. Gather all detail of Jharkhand Polytechnic 2019 exam pattern & syllabus. Candidates have to maintain their health and have to eat fresh food. 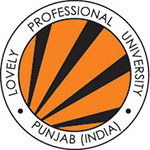 Select the best books& study material for preparation. Candidates can solve question from last year question papers & sample papers. Revise all the topics from the chapter carefully. Jharkhand Polytechnic 2019 Syllabus for entrance exam will be physics, chemistry and mathematics subjects. The syllabus will be comprised of the 10th class syllabus. 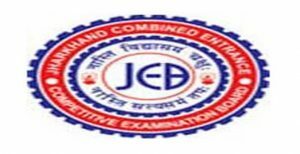 On the official portal, the JCECEB will provide the complete topic-wise syllabus. Candidates should know the complete exam pattern and syllabus of Jharkhand Polytechnic 2019 entrance exam. On the official portal, the authority will declare the Jharkhand Polytechnic 2019 entrance exam admit cards. 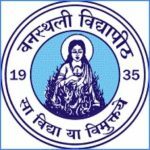 Jharkhand Polytechnic 2019 Admit Card will be available from the 22nd April 2019. The Jharkhand Polytechnic 2019 admit cards will be published before four days of the examination. All eligible candidates who are appearing entrance exam have to download the Jharkhand Polytechnic 2019 admit cards. Jharkhand Polytechnic 2019 Answer Key will be Available after the Exam date i.e. 26th May 2019. To download the Jharkhand Polytechnic, 2019 entrance exam result candidates have to enter the application number/date of birth. Jharkhand Polytechnic 2019 Result will be issued on the online official portal. After a few days of written examination Answer, ka ey will be released. Jharkhand Polytechnic 2019 result will be declared on official portal. Authority will issue the answer key along with the merit list. Jharkhand Polytechnic 2019 Counseling is conducted by the JCECE board. 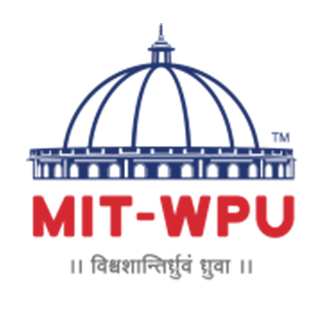 Jharkhand Polytechnic counseling will be started from the third week of May 2019. 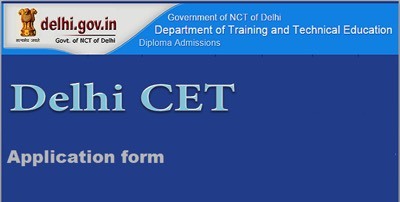 A merit list will be prepared on the bases of entrance exam result. As per the rank in the merit list candidates have to fill the choice of colleges and stream. The seat will be allotted for admission on the basis of their ranks, filled choices and availability of seats after the verification of the documents. Below is provided by Jharkhand Polytechnic 2019 entrance exam centers. Candidates have to check all details regarding Jharkhand Polytechnic 2019 entrance exam on official portal. If you have any other queries about Jharkhand Polytechnic 2019, you can write your queries in the comment box given below.